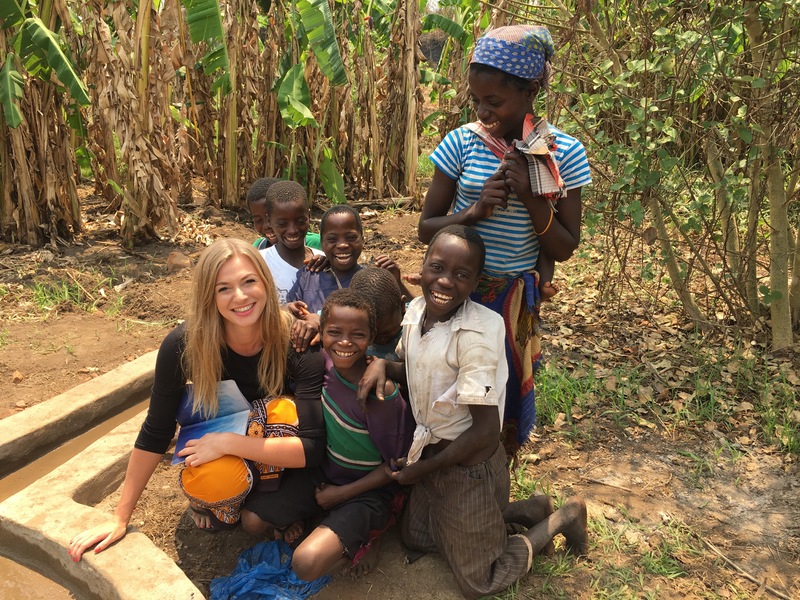 Village Water broke ground in Mozambique in the beginning of 2016, since then progress has been challenging, rewarding and everything in between. But persistence pays off! Our pilot programme is now complete and 10 water-points have been successfully drilled, serving around 3,500 people. We plan to install a further 22 water points in Mozambique by March 2019. Before work can start we wanted to evaluate the success of stage 1, see what could be improved and plan any changes to our programme. Beth Prosser spent almost three months helping us do just that. I had few expectations beyond knowing how long the journey was, that I’d be south of the equator and basking in sunshine whilst England plunged into winter, and that I’d be spending the next few months helping to develop WASH resources for Phase 2 of VW’s project – or so I thought. One thing that is certain in Mozambique is that nothing will ever go to plan. It also rains. A LOT. In fact, if I were to sum up Mozambique in one word it would be ‘unpredictable’. I spent the next 3 months wishing I’d packed wellies and living a particularly lively episode of ‘EastEnders: Mozambique Edition’ – those I lived and worked with certainly had a passion for high drama. I was quick to learn that the only way to survive in a Mozambican work place is to relax, let-go of all expectations and open yourself to all manners of unfathomable scenarios. For all its frustrations and obstacles, this was a project I couldn’t help fall in love with. There is little more rewarding than finally succeeding in putting a water point in and really seeing the difference it makes to people’s lives. I may not be swanning back to England, flicking my sun-bleached hair with a healthy bronzed glow. The reality is a much soggier, battle-worn stagger, stamped with the marks of many blood thirsty mosquitoes, scarred from a couple of infected cuts and still working my way through a course of antibiotics to treat tonsillitis ‘round two’. I will remember a country full of butterflies and mango trees, where access to water away from a river teeming with crocodiles is a real gift. I will remember sweaty car journeys full of bananas and coconut biscuits and the jubilation when we make it back without the axel snapping and losing a tyre. And I will forever remember the joyous laughs of the village children as they compete to pump the water and fill up their jerry can fastest. There are undoubtedly a number of things I won’t miss about Mozambique. I can firmly say that I’ve had enough ncima (ground up maize with the consistency of porridge) to last a lifetime. I really appreciate English wi-fi. Toilets that are sheltered from the elements and showers with hot running water are luxuries you take for granted until you’re 3 months with an open-air pit latrine and daily buckets of cold, dirty water. Yet I remain overwhelmed by the kindness and good spirit of many of the friendships I made there and the feeling of satisfaction that comes from making a difference to people’s lives. Mozambique is a country of opportunity – it has extremely little, but there’s so much room for more and I can sense a faint buzzing in the atmosphere that suggests things are on their way up.